Improve the efficiency of the cleaning operation in your commercial kitchen with the Advance Tabco DTC-S60-60 Super Saver 5' stainless steel soil straight dishtable! 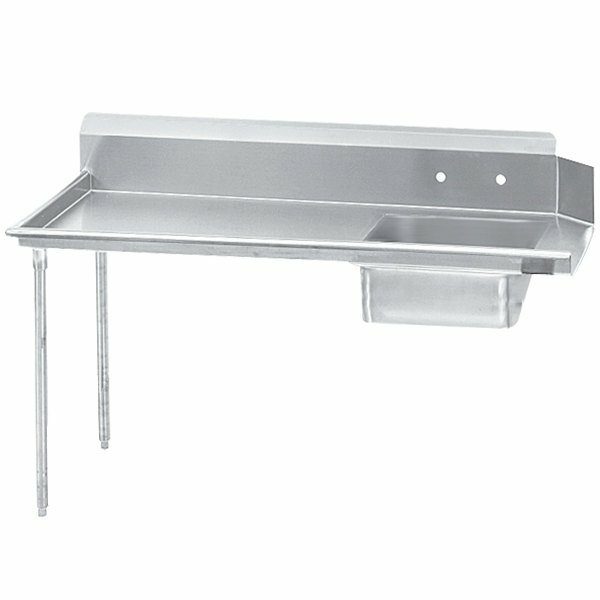 This dishtable features a 16 gauge stainless steel top with a 1 5/8" diameter galvanized legs for outstanding durability and support. It has a 10 1/2" backsplash with a 2" return to protect your walls, and the stainless steel gussets are welded to a support channel for added reliability.